A view of the Kyobo Life Building in Gwanghwamun, Seoul, where Kyobo Life Insurance Co. and its affiliates keep offices. 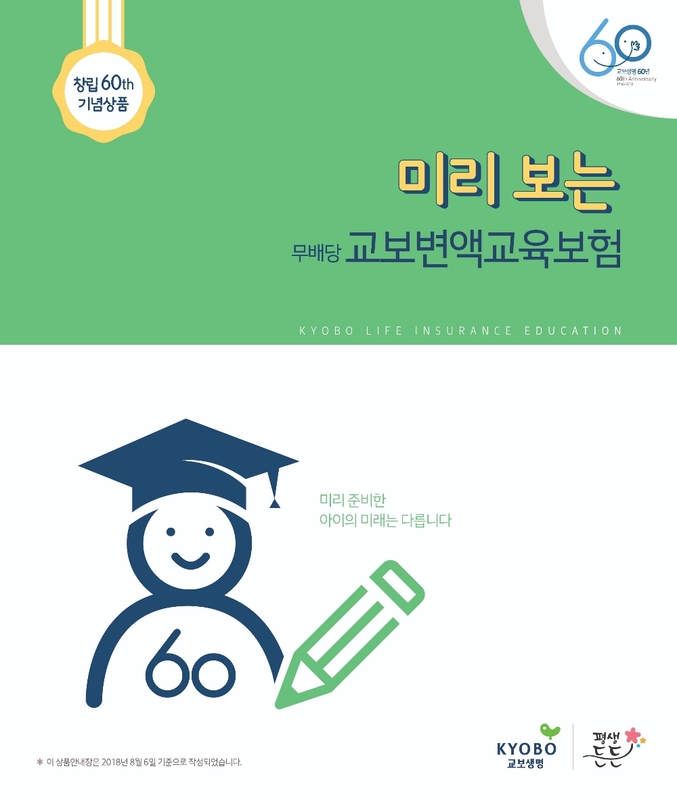 An ad for the Varied Insurance Money Product which Kyobo Life Insurance put on the market on its 60th anniversary on Aug. 7. Kyobo Life Insurance Co. celebrated its 60th anniversary in a subdued manner in a ceremony just with executives and staff. Not present were outside guests, unlike its 50th anniversary in 2008, when the company’s plan for its centennial anniversary was declared. At the 57th anniversary in 2015, Kyobo Life put forward a new vision to achieve 100 trillion won in total assets in 2025. The social service event this year followed the tradition of mobilizing the entire company to celebrate the anniversary, but celebrations will take place at branches. The social services will hold events over the period of one month. The company was launched in 1958 by founder Shin Yong-ho with a slew of life insurance products, some of them for the first time in the industry, including education insurance policies, employees retirement installment savings insurance and cancer insurance, among others. Kyobo Life Insurance continued to maintain its reputation as a company run by its founder’s family over the past 60 years . Whenever the company had tough problems, it overcame them with reform. During the Foreign Exchange Crisis, the company sustained losses of around 2 trillion won. 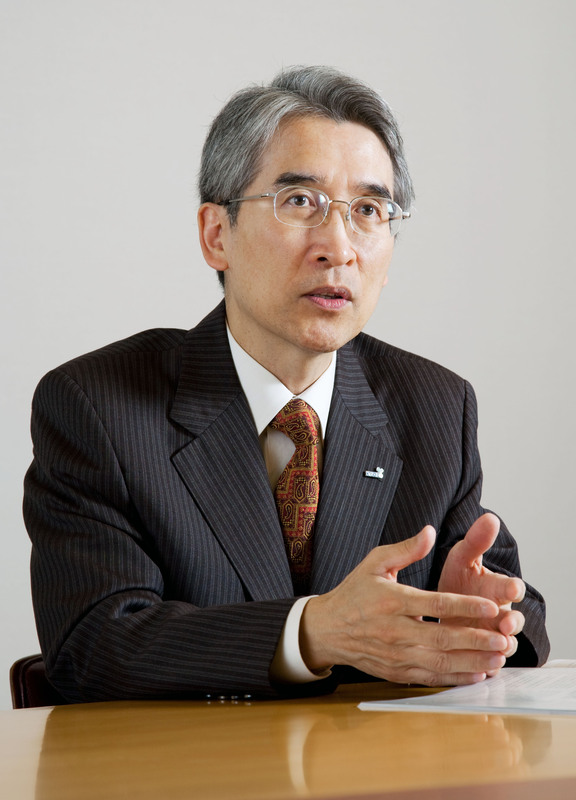 Chairman Shin Chang-jae took over from his late father chairman Shin during the crisis and declared that business volumes were not the main priority, placing more importance on operations, quality growth and internal operations. The new chairman’s reform efforts paid off with the company generating net profits of more than 500 billion won to 600 billion won year after year since his arrival, with total assets boosted to 100 trillion won from 22 million won when it first opened its operation 60 years ago. The number of policyholders exceeded 8.5 million as of the end of 2017. Next year, an IPO will be held for the company as the company needs to boost its capital by 2 trillion won to as much as 5 trillion won. It will go by K-ICS. The company also is slated to announce on Aug. 7 the varied insurance money product for the first time in the life insurance industry around the world. The insurance money from the product is to vary depending on the operational results of the company, with the minimum insurance money fixed. Kyobo Life officials said the new insurance policy was announced on the occasion of the 60th anniversary to make the occasion more memorable and at the same time to kick off the second wave of the life insurance firm. Kyobo Life Insurance, headquartered in the Kyobo Building in downtown Seoul, is the nation's largest life insurance firm providing life insurance and asset management products to more than 10 million policy holders. Its insurance products include traditional life, health and disability, and retirement and pension products for individuals and businesses. It also offers personal and mortgage loans. Disability issues figure predominately in Kyobo's products. The company offers a broad range of products that are available to people with disabilities, which is not always the case among insurance providers in Korea. It also provides disability income insurance, which secures the beneficiary's earned income against the risk that disability might make working impossible. Once disabled, 60 percent of the insured person's income is provided as benefits on a monthly basis.